Syrian President Bashar al-Assad has set parliamentary elections under his country's new constitution for 7 May. The poll will be the first under the constitution approved by referendum in February, which allows for multiple party elections but has been rejected by those who have joined the uprising. Authorities say Mr Assad's move toward elections shows his commitment toward reform after a year-long internal uprising and amid growing international pressure on Syria. His opponents say the constitution is illegitimate and insist the president must give up power. "Of course we will boycott the elections because they will be fixed. But this is not a main focus for us. What we want is real change with a real presidential election, which Assad would surely lose," Melhem al-Droubi, a member of the Syrian Muslim Brotherhood and the Syrian National Council said. The state's crackdown on an uprising that began as peaceful protests last March has grown increasingly bloody since rebels began fighting Mr Assad's forces. Damascus says it is confronting militants steered from abroad. Under the new constitution, parties cannot be based on religion, profession or regional interests. This would exclude the outlawed Muslim Brotherhood or Kurdish parties seeking regional autonomy. Hundreds of people gathered near New York city at the funeral of US journalist Marie Colvin, who was killed while covering the uprising in Syria. Mourners joining Ms Colvin's mother Rosemarie and her family included Rupert Murdoch and John Witherow, owner and editor respectively of the Sunday Times, which Ms Colvin joined in 1985. The eulogy paid tribute to a woman who "trusted life" and "had a passion for her work". Friends and family had paid their last respects over the weekend at a wake held at an Oyster Bay funeral home. 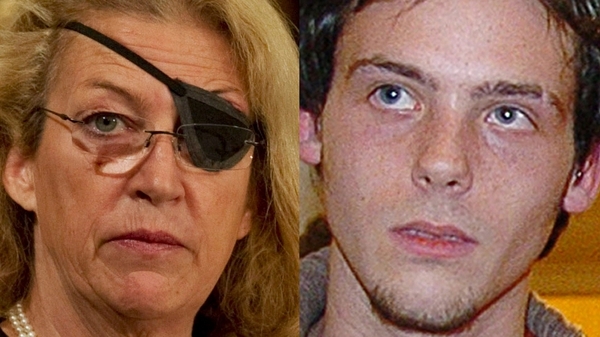 Ms Colvin, 56, had covered conflicts from Chechnya to the Arab Spring. But she was unable to escape the besieged city of Homs on 22 February when Syrian government rockets hit the house where she was staying along with other Western journalists. She and French photographer Remi Ochlik were killed, while a British photographer and a French reporter were wounded.